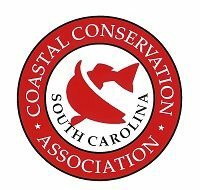 CCA South Carolina License Plate Here is your chance to display your passion for recreational saltwater fishing all year long! CCA SC is offering you a chance to be one of the first 100 people in the state to have these brand new license plates that will benefit CCA SC’s advocacy and habitat programs. Step up and enjoy being one of the Committee of 100! Donated by CCA South Carolina. Paul Puckett Package Local Charleston artist, musician, and fisherman Paul Puckett has graciously donated two of his renditions of Lowcountry favorites. Bringing his experiences to canvas has put Paul’s work on every anglers list of artist to own. Donated by Paul Puckett. Hook and Gaff Sportfisher Watch This limited edition, Swiss made watch with moon phase and date will be the perfect accessory both on and off the water. The watch case is made of lightweight titanium and has a screw down case back for optimal water resistance. The Sportfisher watch is made with anglers in mind- the crown is uniquely placed on the left side of the face to avoid irritation during active angling situations. Donated by Hook and Gaff Watch Co.
Charleston First Class With Capt. John Irwin Spend time on the water with this passionate guide and you’ll come away with a new appreciation for inshore and nearshore fishing! Two anglers will send one ½ day with Capt John fishing the Lowcountry in and around Charleston’s historic waters. With over ten years of experience on these local waters, Capt. Irwin will certainly put you within casting distance of the fish of your dreams. Fuel, bait, and tackle are provided; tips are not. Must be scheduled on a mutually agreeable date. Donated by Capt. John Irwin and Fly Right Charters. Osprey Dinner Cruise for 48 What better way to entertain than on Charleston’s famous harbor! You and 47 of your friends, clients, guests’ will enjoy a three hour excursion aboard The Osprey. Along with the wonderful Charleston view, enjoy a seasonal dinner of an oyster roast or a beaufort stew as you enjoy an experience that will not only win you praise from your guests but an experience that will not soon be forgotten. Donated by Osprey Boat Charters and CCA South Carolina. Texas Blast & Cast Grab your shotgun and fishing rod and come on down to Texas. We are going duck hunting and fishing in the Laguna Madre, winter home of the largest concentration of redhead ducks in the world, plus lots of pintails, widgeons and other species. After the morning hunt, it’s off to the flats to chase some speckled trout and redfish. This and more adventures await the two lucky folks who take this trip. The Laguna Madre is one of only 5 or 6 hyper saline lagoons in the world. The last 3 state record speckled trout were caught in Baffin Bay. A great place to hunt, fish, bird watch or just relax. Guys, women and couples are welcome. The accommodations are rustic cabins located on islands 30 minutes (or more ) by boat to the nearest road. Gourmet meals are included and the trip is 3 days of duck hunting & fishing with 2 night’s stay, transportation to and from the airport, included. The trip is hosted by local CCA members. Argentina Dove Hunt High Volume dove shooting at its finest in Cordoba, Argentina! Four (4) hunters will enjoy three full days of wing shooting surrounded by arguably the largest concentrated numbers of doves in the world. Included in this package is Five Star accommodations in a private Estancia, gourmet meals, open bar, bird boys, customs clearing, laundry service, and in country ground transportation. Items not included in trip are tips for bird boys and house staff, shotgun shells, license, gun permits, and airfare. Donated by Sporting Adventures International and CCA South Carolina. Down on the Bayou; Fishing Venice, Louisiana CCA Louisiana Executive Director David Cresson will be your host for this trip to this angling Mecca. David is going to host four anglers for two days and two nights of fishing and fellowship at his private fish camp in Venice. Must be scheduled on a mutually agreeable date. Donated by CCA Louisiana and David Cresson. Ripley Light Yacht Club Oyster Roast for 25 The soon to be famous Sea Island CCA Cooking Team brings an oyster roast to you and 25 of your closest friends. Our partners at Ripley Light Yacht Club will host the event on their spacious and scenic deck overlooking the water’s edge. You get to entertain while we provide the labor, beer, oysters & fixin’s, and knives. Please schedule on a mutually agreeable date. Donated by Ripley Light Yacht Club and the Sea Island CCA Cooking Team. Charleston Duck Hunt w/ the Chairman Two lucky hunters will join Sea Island Chapter Chairman Gene Walpole for a full morning of action packed sporting adventure. Sunnyside Farms on Johns Island is your location as you enjoy shooting the menu of waterfowl found on the coast of South Carolina. To complete the deal, a 12 ga. Benelli Nova pump action shotgun comes with the package. Trip must be taken during the 2015/2016 duck season on a mutually agreeable date. Donated by Sunnyside Farms. Tailgate Specialties Oyster Table If you love oysters like most South Carolinians, then you have to have a table built just for eating them! This table certainly fits the bill. Donated by CCA South Carolina. Got Shrimp? Frogmore Stew for 20! Another effortless entertaining opportunity brought to you by the CCA Cooking Team! We provide all the ingredients that go into making that wonderful lowcountry delicacy for twenty of your closest friends…including the beer. Brought to you by the soon to be famous CCA Cooking Team. Must be scheduled on a mutually agreeable date. The Local Boy Outfitters/ K2 Mystery Cooler Real Value. Real Cold. This 55 qrt roto-molded cooler is becoming the hottest cooler on the market! Stuffed with goodies, you have to buy it to find out what’s in it! Donated by Local Boy Outfitters of Lexington and K2 coolers!